The Checkered Life: Unique Seafood @ Sec13, P.J. Unique Seafood @ Sec13, P.J. 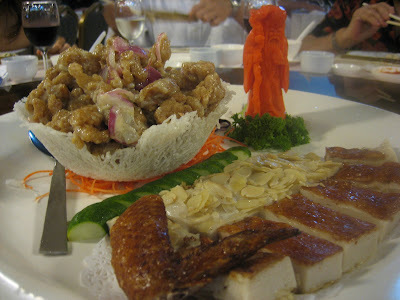 Last nite was my aunt's birthday n' we threw her surprise birthday dinner @ Unique Seafood Restaurant. 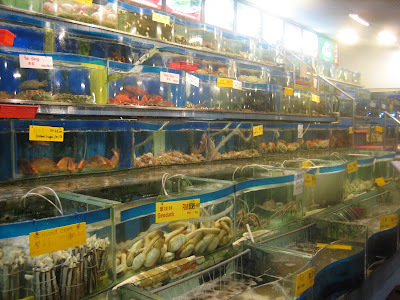 As the name indicates, the varieties of the seafood offered are uniquely extensive. 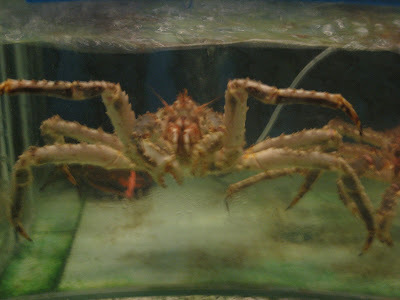 Aiks...I forgot to jot down the name of this big crab. Looks like a sea monster to me. Snow crabs. 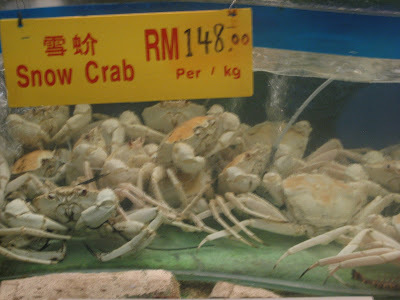 Look at the price, RM148 for one kg??? Red lobsters. Another expensive item. 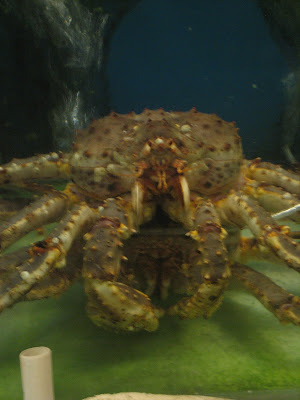 OMG....see this fatty king crab! 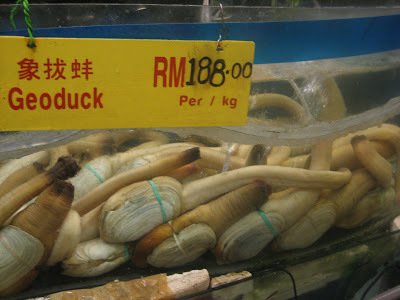 RM198 per kg. Ewww...geoducks. Wondered why their flesh are so much longer and bigger than their own shell. 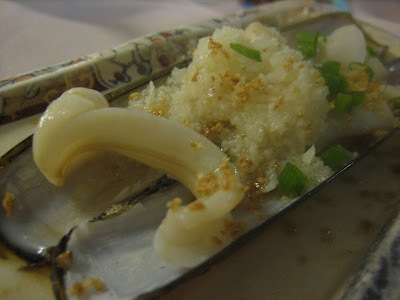 Bamboo clams cooked with minced garlic. This is the best dish of the nite. The clam was cooked to perfection, fresh and crunchy. 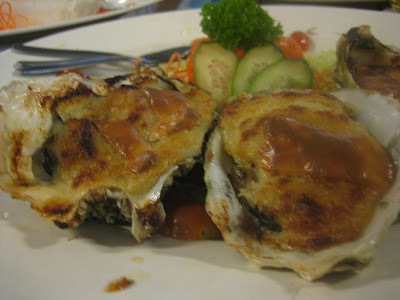 Oyster baked in thick layer of cheese. I supposed that this cooking style doesn't work for fresh oysters. The flavours of the cheese were too overpowering. 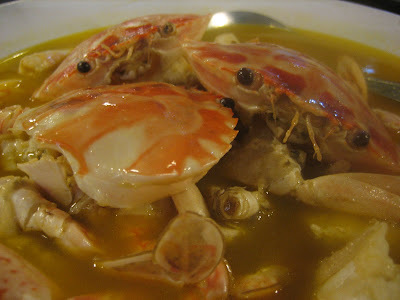 Flower crabs cooked in butter sauce. The sauce was good and not greasy at all though the flower crabs were rather meat-less. Fried tofu topped with pacific clams and veges. Finally, crunchy fish cutlets cooked in lemon mayo sauce + fish paste with crispy chicken skin. Lot9B-3, Jalan Kemajuan, Section 13, 46200 Petaling Jaya. If Precious Pea sees this, she's so gonna cry. 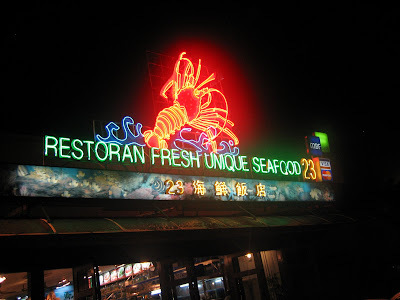 :-P I believe this seafood restaurant is related to Pantai Seafood in Kg Sg Ara. Of course, depending on where u live, this seems a lot more accessible. theres another 1 in cheras..called unique fisherman..not sure if the signature dishes are the same though..they do a wicked pig knuckle..and yes they hav those big tanks of seafood as well..those bamboo clams were awesome when i had as well with black bean steamed..
yup, the pantai seafood is another branch. y will precious pea cry??? joe: another branch in cheras? yeah..thumbs up for the bamboo clams. Hahaha...Lemongrass, you know me sooo well..but luckily I had crabs at king crab on Tuesday! Oh this is one expensive place to eat. We had our company dinner there few months back, cost us a bomb! Yum yum! Love crabs and those clams are so good. 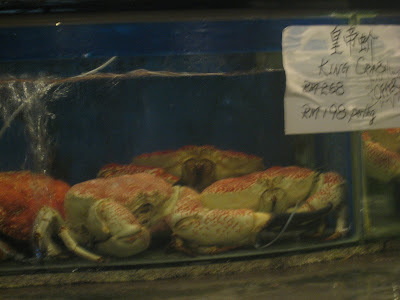 I had my share of crabs last week - had yummy crab claypot rice in PJ. My aunt says nicer than Siu Siu! tankiasu:Cost ur boss a bomb mar...hehe...btw, we can go for makan during lunch time now, im moving to Damansara Heights nxt wednesday, new company is @ Jalan Semantan. Esp on fridays wiv 2 hours lunch time...im soooo excited over this. boo_licious:Crab claypot rice! The combination of my fave food. 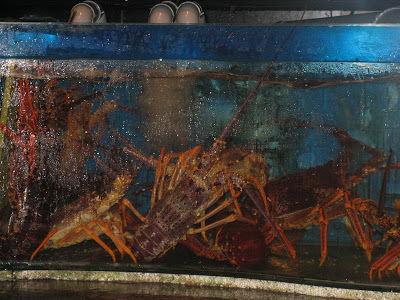 For me, I don't eat seafood sitting near the tanks or even face them. Yes, sad but they do taste so fantabulous! 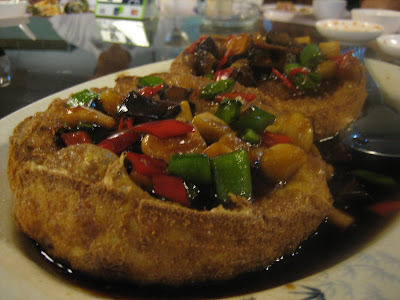 xiu long bao, to answer your question to lyrical lemongrass, check this out and you will know why. 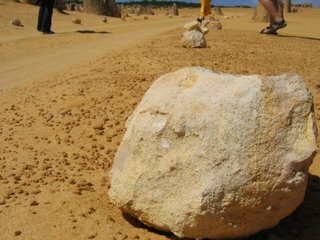 I don't think I want to visit your blog again next time. You always make me crave for something. hahaha! Most of my friends end up in Pantai Seafood which is opened by the same owner and presumably at slightly lower prices. However, Pantai's cooking is inconsistent. tummythoz: True...how ironic is it rite? 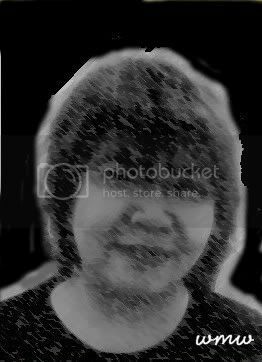 wmw:Yup, just found out dat most bloggers visit the pantai branch. meiyen: Yes it is! This area is super packed with lotsa famous eateries. The kampung sg. ara rest that u went is one of unique's branches. I was told Pantai Seafood is non-halal whereas Unique is halal. Guess that's the difference. tankiasu: okay! U set the place arr, must bring us for good food. precious pea: Oic...yalor, joe told me about the wicked pork knuckle thing from pantai. tummythoz:LoL...yalor, faster plan for the 2nd gathering. haha! You have a great blog, do you think I'll ever stop visiting? :P Crabs? Manyak expensive leh. Cannot afford lah. Ohlala... seafood over here is wunderfull! But i still prefer eric's deli @ hartamas SC though cuz price is more reasonable and the seafood still comes fresh! But it is a once in a blue moon mouth watering experience and no regrets! Note: Not for animal lovers, cuz sometimes they slaughter the poor fishies in the open. kok:haha...then go cherry or apricot picking, sure very untung one. 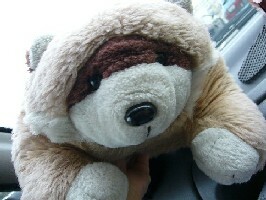 Last time idiot me did strawberry picking, which was plainly labour abuse, money earned oso not enoh for me to buy 'yoko-yoko'. jason:Cus u r too lazy to eat the mafan shelled seafood??? I also want leh. But then, now not strawberries season. Hmm... but I have something in mind at the end of this year. Hopefully I will untung a lot and then, "rich" for a while. hahaha! I like seafood too much. My favorite one is cioppino, a tomato-based seafood. I feel sorry to for the little innocent creatures for the way they killed to enrich our taste buds. But we have to accept it. That's the way life circulates and survives, chap.